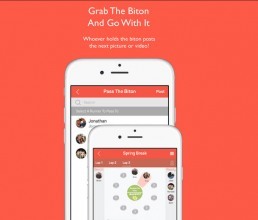 Biton is a way for individuals to share content in a group by grabbing and passing the group ‘biton’, or virtual baton. Whoever has the biton gets to post to the story. 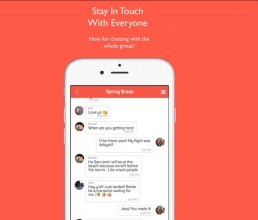 All your pictures and videos can then be played back together like you’re watching a group created movie! There’s a biton (which is a virtual baton) in each group, and if you’re the one that has it, then you alone have the power to post to the story. 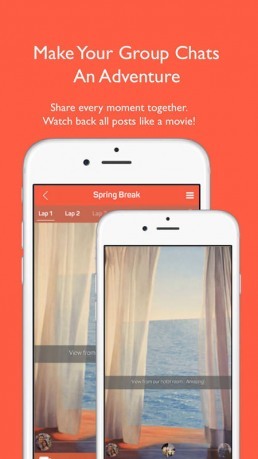 After you share a live picture or video, just pass the baton to somebody else – and follow where the story goes! When the user grabs the biton, the timer starts. The user has to capture the moment and share their story within the time limit and pass the biton to next person in the group. For them [Sunflower Lab], it's [about] getting things out the door on time, even with strict deadlines. It’s important to have fun while creating the story and equally important that you can sit back and watch the full story in auto play mode. So we created a ‘play timeline’ playback feature which plays the story as it happened. The user can save and share the story in their social media or with other friends in the Biton app. Sunflower has been very responsive and accessible. 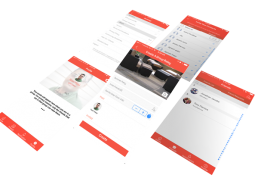 The client runs high-level QA of the app himself for things like typographical errors, but by and large is happy with the services provided, including help outside the scope with relation to product vision.